#TheGallery – Week 62 – Dads. As a father of 5, I love being a dad. It’s one of the most magical things that’s happened to me. But I don’t think I’d be enjoying it half as much if I didn’t have my own dad to draw on. Not literally, obviously. I don’t pop round with a Sharpie! But my dad has always been there to look to for inspiration. “Would dad do this?” is a valuable question and one that has guided my steps. 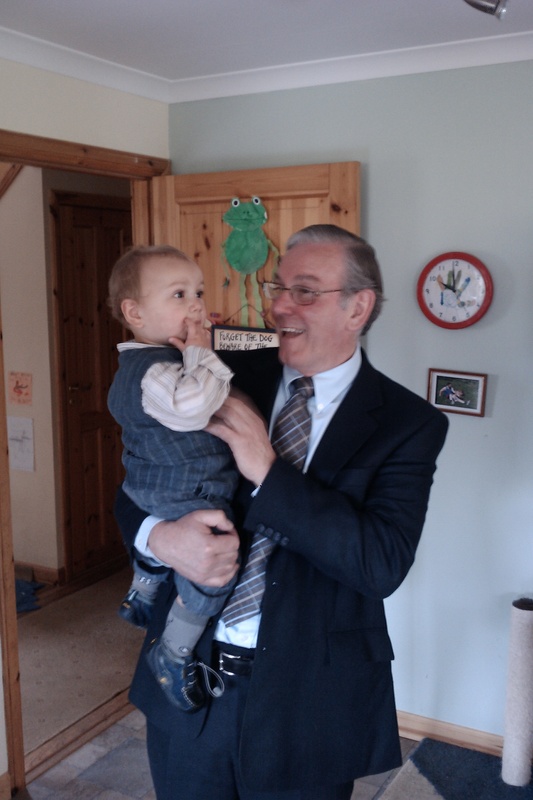 Here he is with his youngest grandson. I hope to be as useful to mine as he has to me. That’s lovely. Guess you have passed the “am I grown up?” test! Mine’s great with the kids, it’s me he winds up! What a great picture… but now I want to give my kids pens to draw on their Dad! A lovely photo and it is always great to having amazing parent to draw on…although i would have loved to have seen that photo…your dad with a drawn on moustache and whiskers! 5 children!? ….That is what I hope for…3 down, 2 to go! A simple and understated post that speaks volumes. Well done you.